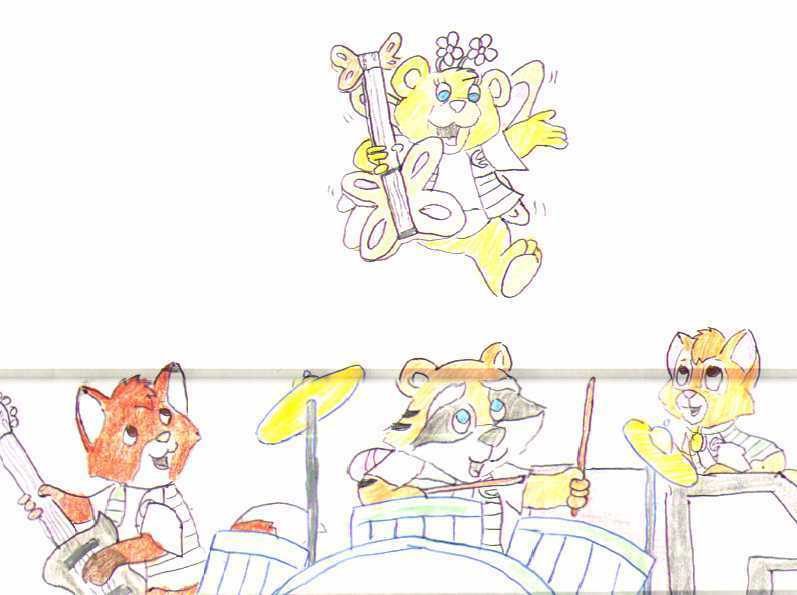 This is a very good collection of pictures and drawings of a very good idea. 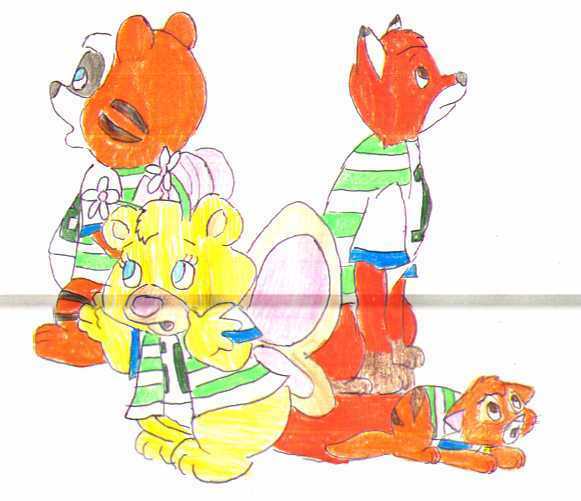 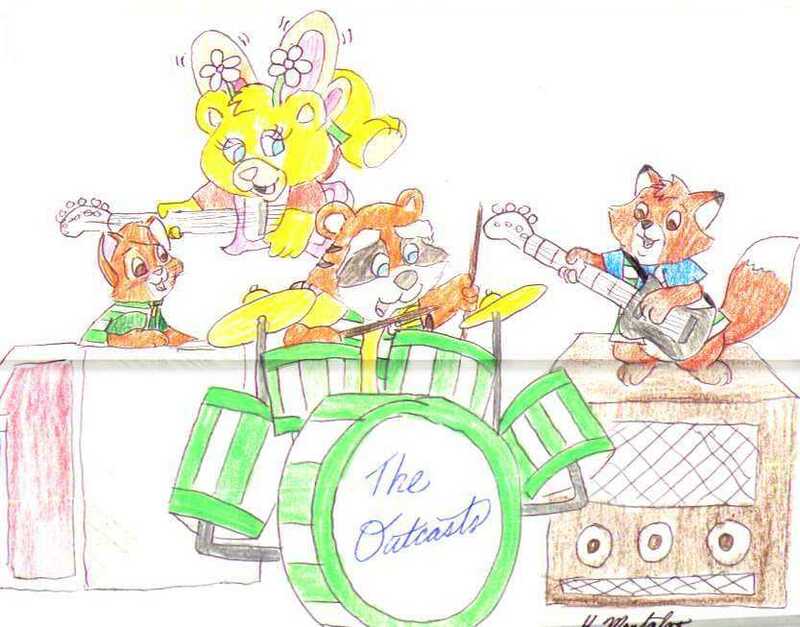 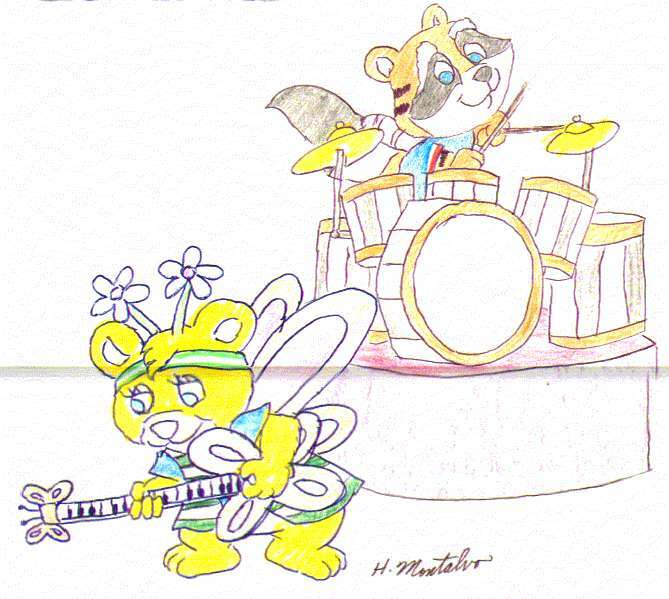 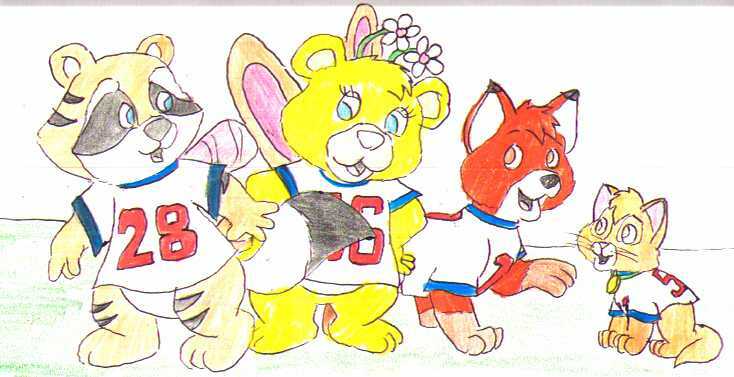 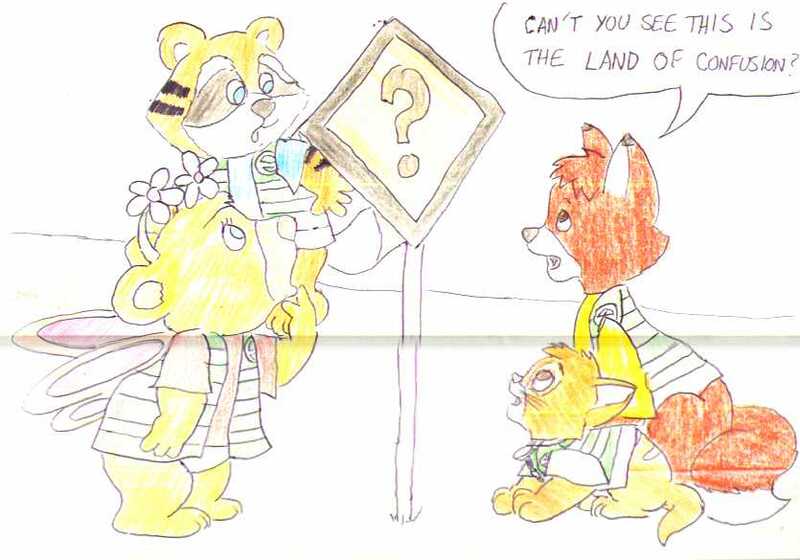 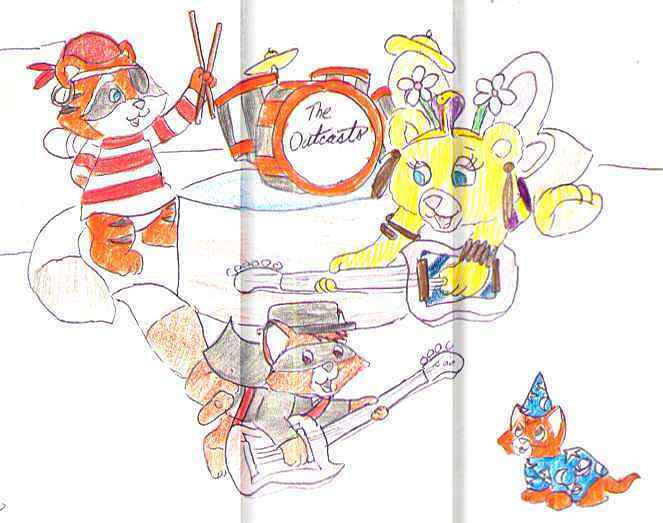 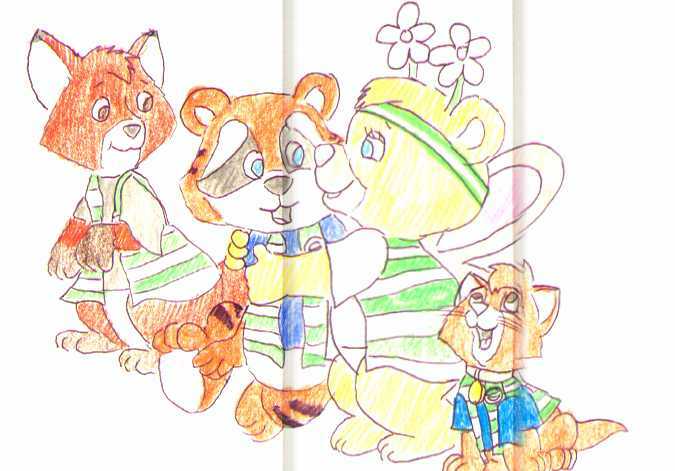 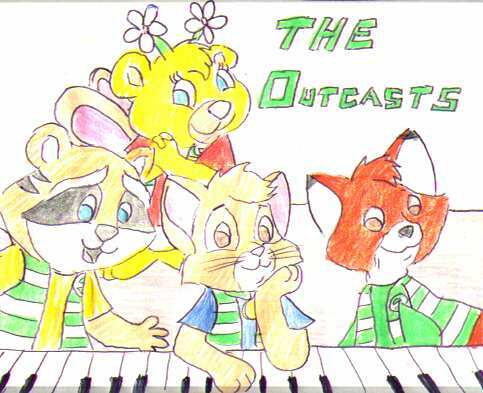 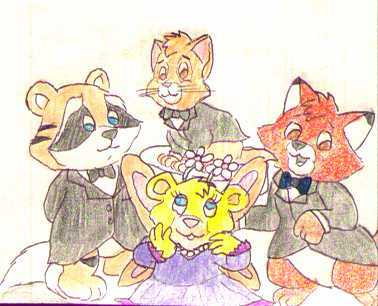 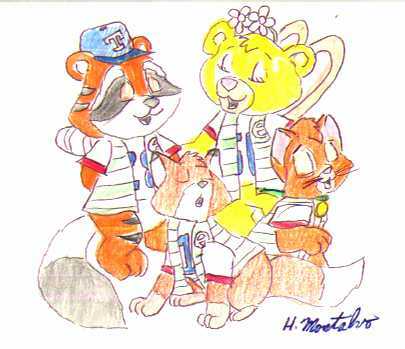 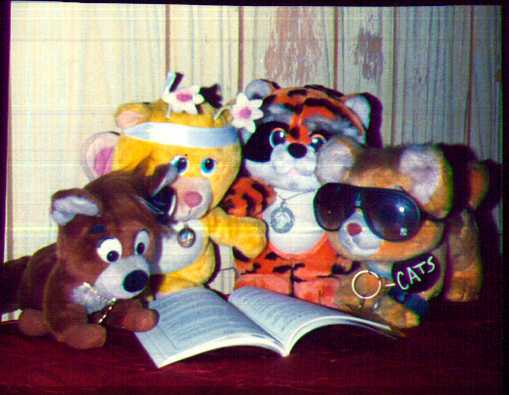 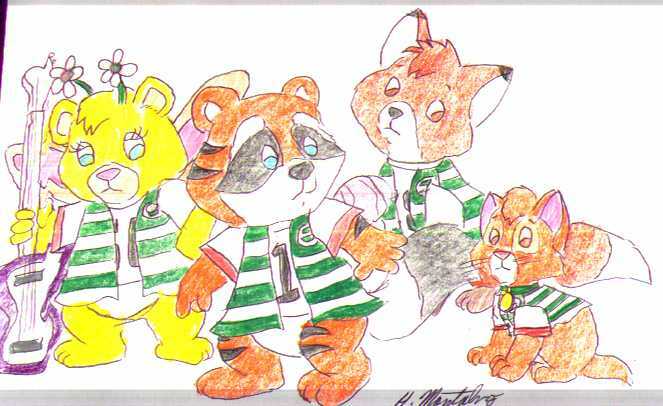 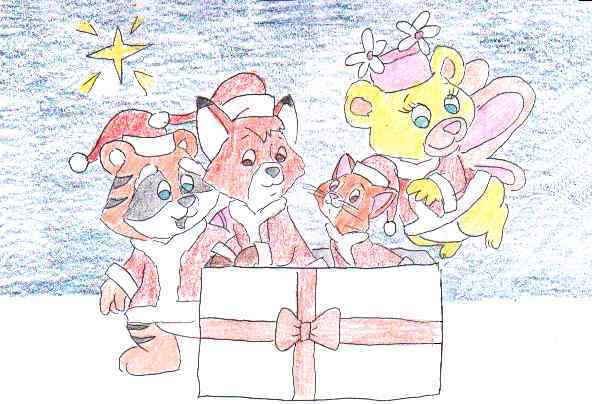 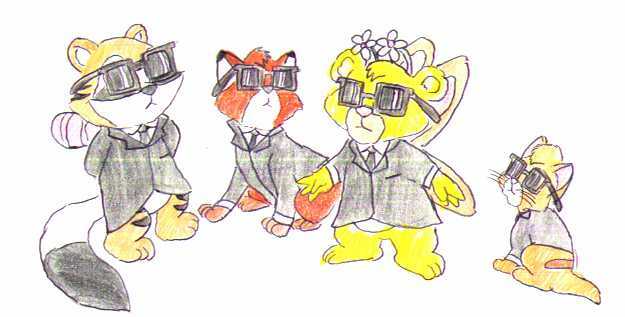 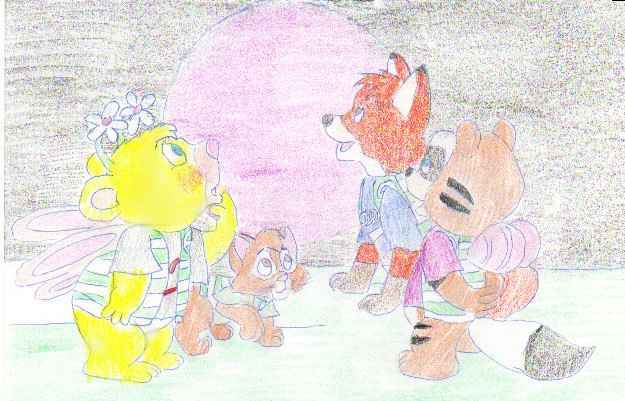 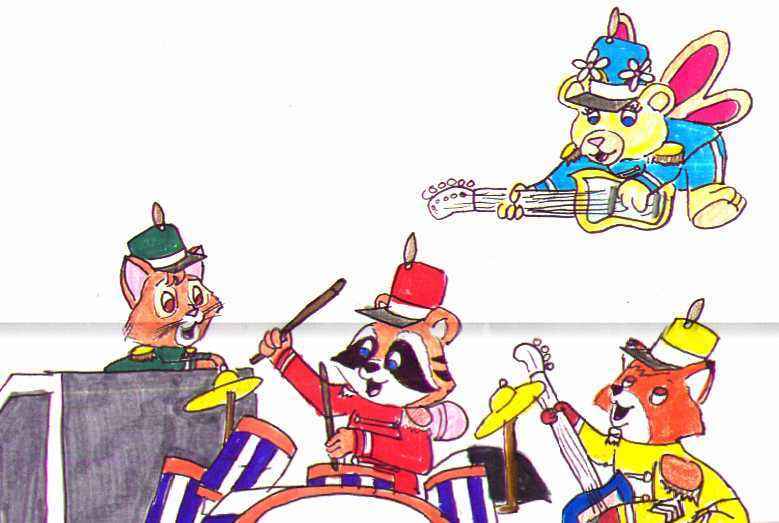 The Outcasts is a rock group created by Hector which features two Wuzzles, Butterbear and Tycoon, Tod from "The Fox and the Hound", and Oliver from "Oliver and Company." 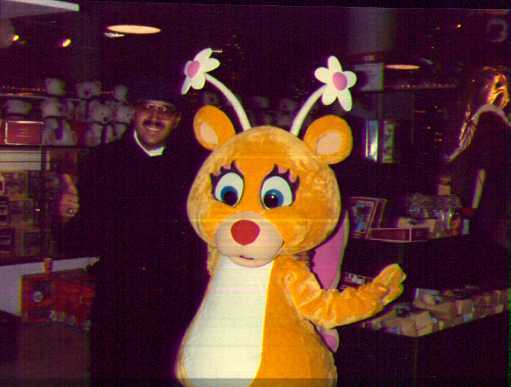 Return to top of page or the Visitor Submittions.